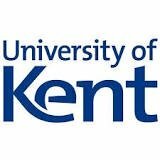 Kent Business School is holding an MBA Briefing on Wednesday 24th April 2019, from 6-7pm. The University of Southampton is holding a Postgraduate Visit Afternoon on Wednesday 24th April 2019, from 1-4.30pm. The University of Brighton is holding a Professional Business Courses Open Evening on Thursday 25th April 2019 at 5.30pm. The University of Brighton is holding a Professional Business Courses Open Evening on Thursday 25th April 2019, from 5.30pm. Edinburgh Napier University Business School Postgraduate Open Day on Thursday 25th April 2019, from 5-7pm. Solvay Business School at Université Libre de Bruxelles (ULB) is holding a Masters and PhD Information Session on Friday 26th April 2019. KU Leuven is holding an Open Day at its Brussels Campus on Saturday 27th April 2019, from 9.30am-1pm. Birmingham City University is holding a Masters in Management or Accounting information buffet on Wednesday 1st Ma7 2019, from 12-2pm. Staffordshire University is holding a free online webinar about ‘The psychology of fake news and conspiracy theories' on Wednesday 1st May 2019, from 6–6.30pm.